0 L x 0 W x 0 H in. 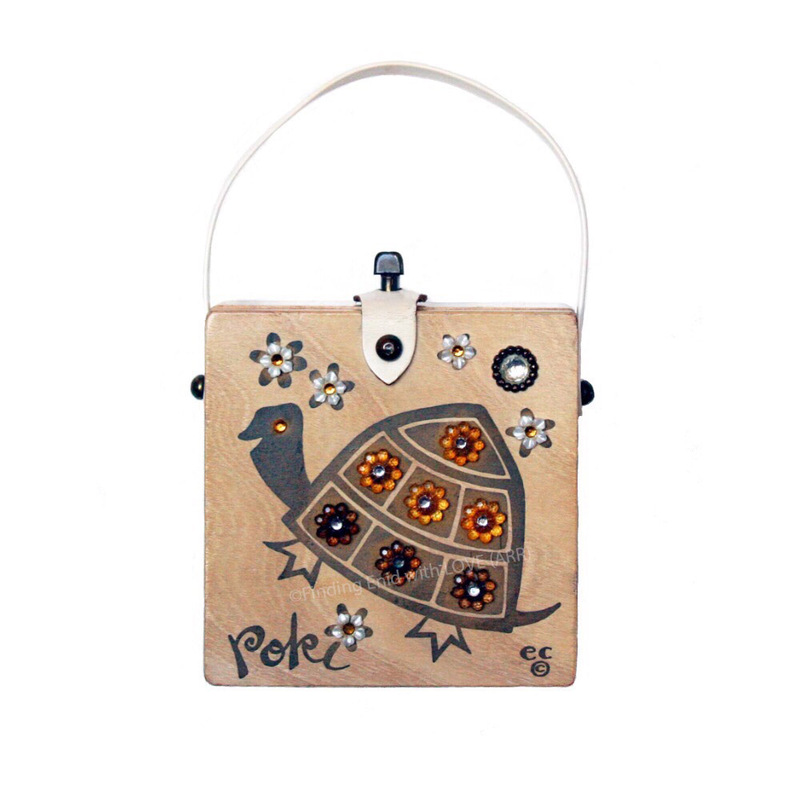 Square box purse of light-toned wood screen printed in black and gold, depicting a stylized turtle in profile among flowers. Decorated with acrylic flower embellishments in pearl and amber, and amber and crystal. "Poki" serigraph in hand-script cursive style appears in the lower left corner of front. The letter "I" is dotted with a serigraph flower and acrylic pearl floral embellishment. Shows typical wear from use; serigraph vivid; original jewels intact and in place. One of several variations of popular "Poki" and "Slow Poke" turtle themes.